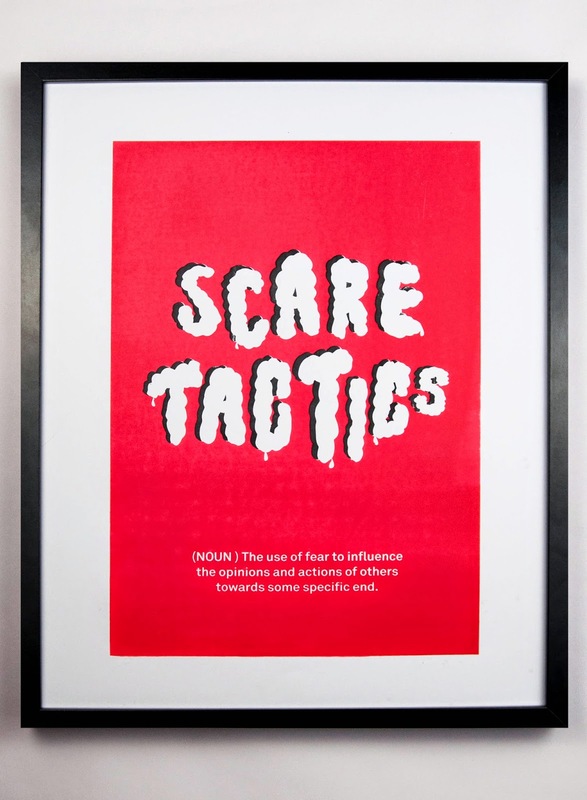 Today Beth and I photographed the final Scare Tactics posters. 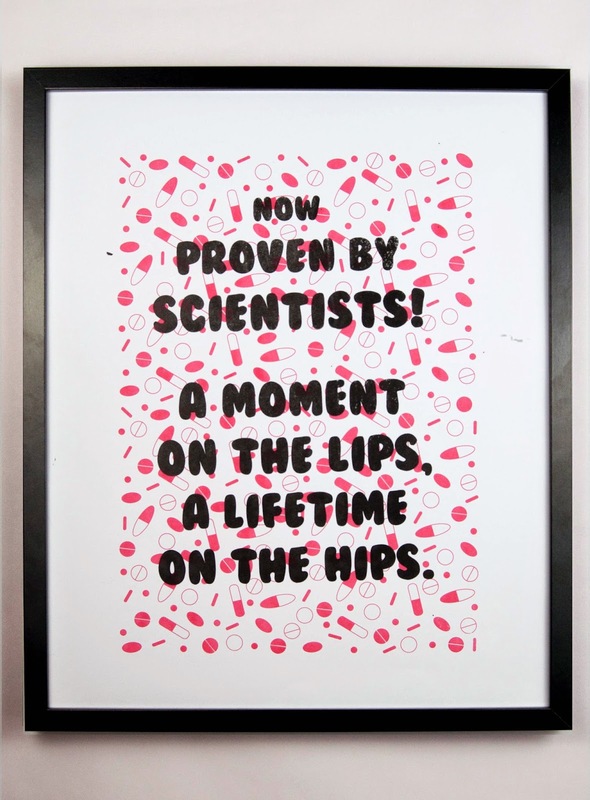 We had purchased a black frame from Ikea with a mount inside to frame each print, to add a subtle contrast to the print. At first we were going to buy 4 frames all the same, and photograph all four prints together. However, when we enquired with the photography studio regarding a space/slot, we were told there weren't any available until after Easter, and we both felt this was leaving it quite late. To get around this problem, I suggested photographing the prints 1 at a time using 1 frame and then digitally amalgamate the 4 afterwards. 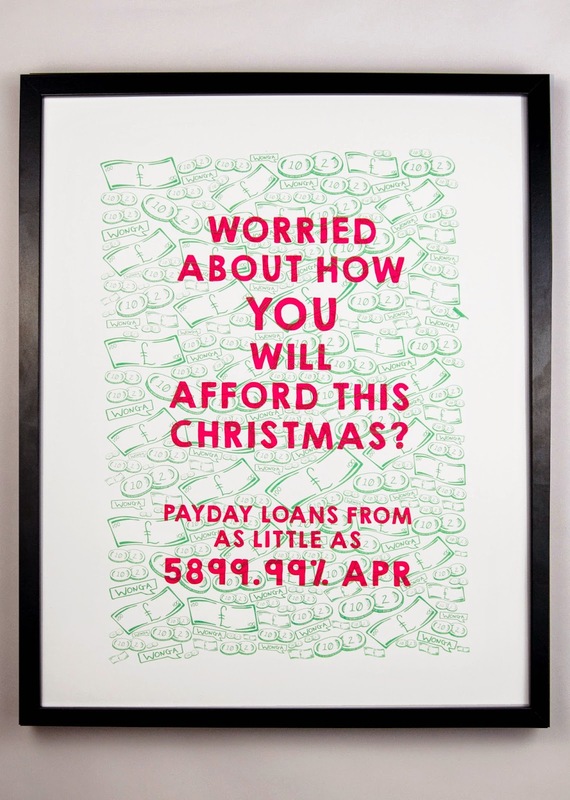 This would also save us a lot of money, as well as having to wait over a month for a photography slot. 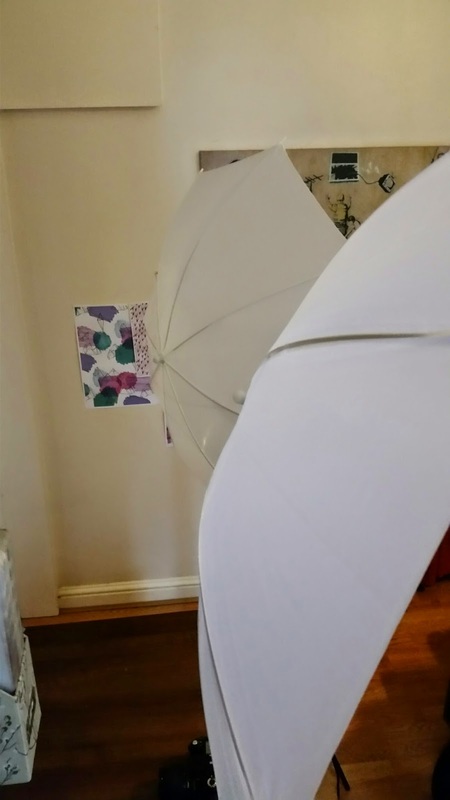 To gain a space to take the photos, we set up a continuous lighting set in my flat, allowing for a small photography set-up whereby each print was placed on a wall in the same place to ensure the same quality photos across the board. At first we were using the cream mount inside the frame to act as a border for each print. This can be seen below. It wasn't until we had photographed the first print and swapped them over we forgot to put the mount back in. 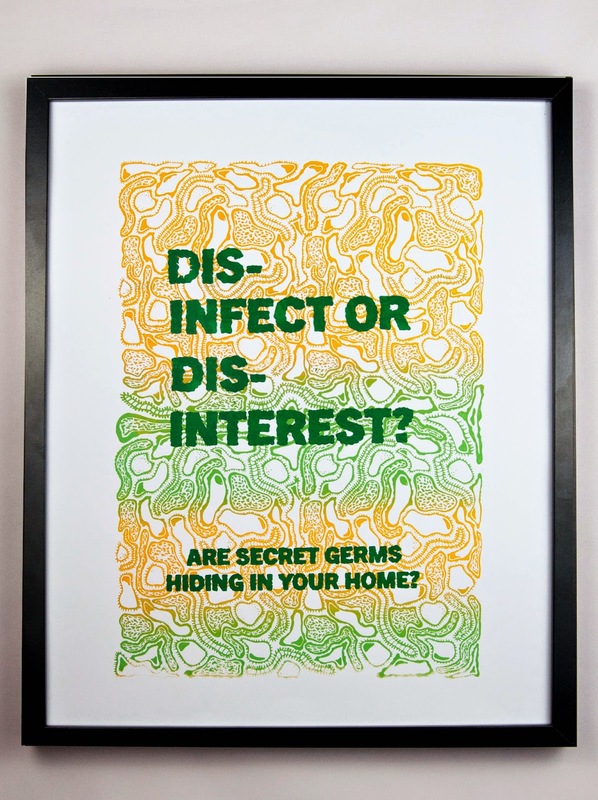 However this was a mistake, Beth and I actually felt the prints looked much better and stood out more without the cream mount detracting from the sharp and bold colours and patterns. This can be seen on the final photographs shown below also. 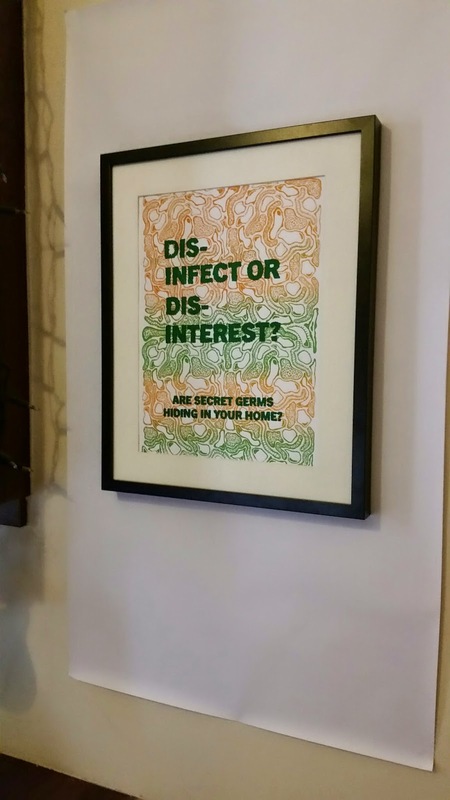 Beth and I are both really happy with the outcome - I personally feel the frames make the prints pop and really make them work as a conceptual set of posters. 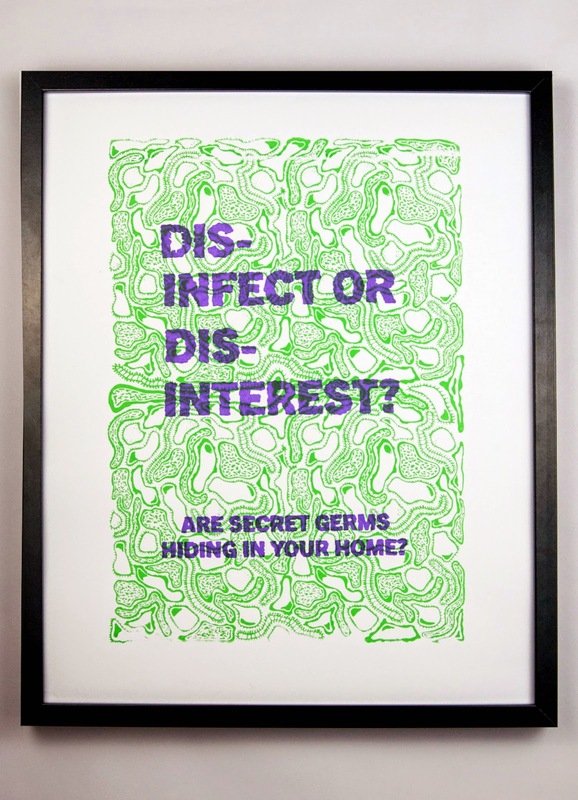 We photographed 2 different colour variations of the 'dis-infect or dis-interest' print so we could decide afterwards which colour worked better, as well as working better together visually as a set.